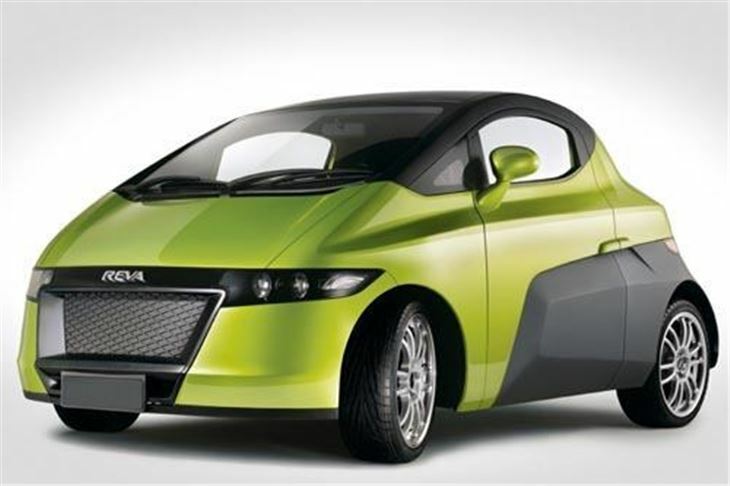 Shown at Frankfurt September 2009 and Styled by Dilip Chhabria, the REVA NXG is a M1 category, two-door, two-seater car with a targa top. The REVA NXG has a range of 200km (125 miles) per charge and a top speed of 130 kph (80 miles per hour). It features the same telematics as the REVA NXR, including REVive and, using the fast charge, it has an effective range of 400 kms (250 miles) a day. This showcar, the REVA NXG, is REVA’s 2011 model and its first showing is at the Frankfurt Motor Show (IAA). Pricing in Europe excluding batteries is from 23,000 euros plus a monthly mobility fee.